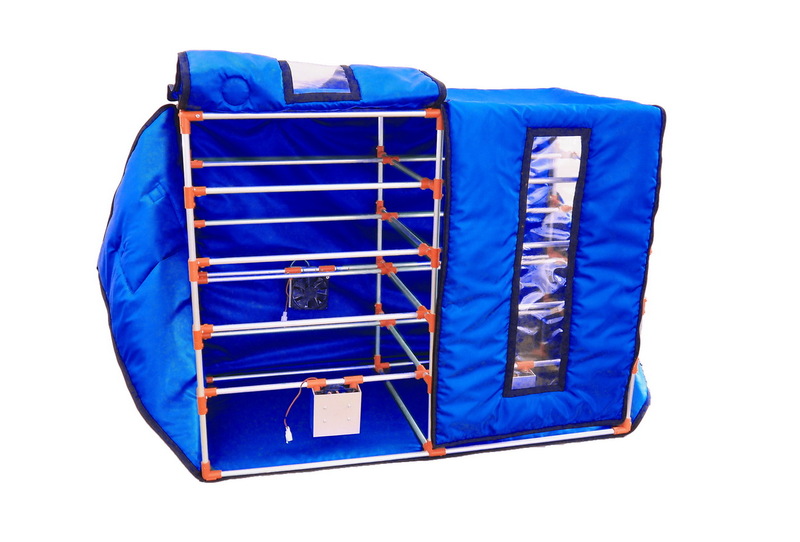 Broody MAXI 400 is a folding farmer’s incubator for 400 chickens (duck eggs) equipped with all the necessary modern means for successful incubation. 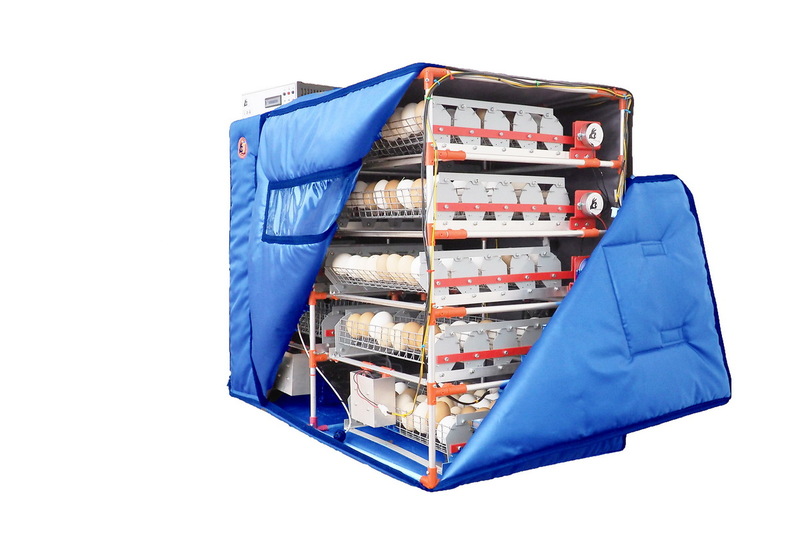 The large capacity of the incubator (400 eggs) makes it possible to use it in small farms engaged in breeding poultry. 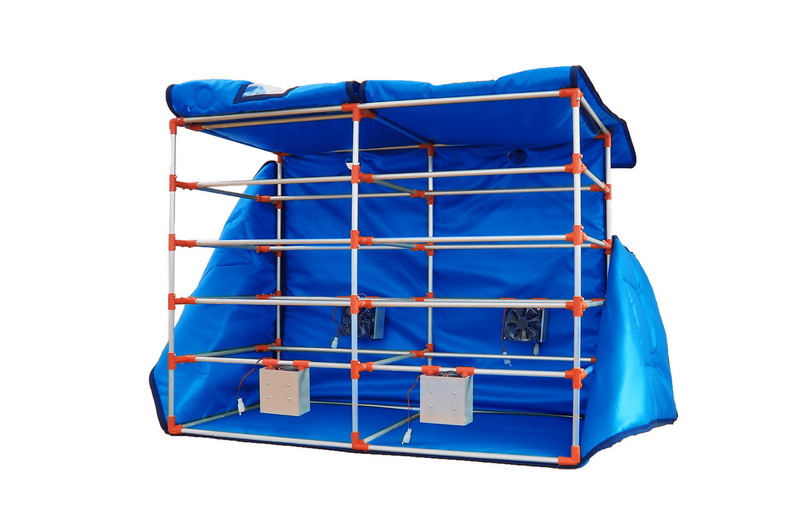 A wide range of additional accessories makes it easy to use an incubator for incubating all kinds of poultry, except ostriches *. All the structural and electronic parts of the incubator are designed with maximum efficiency for the incubation process. 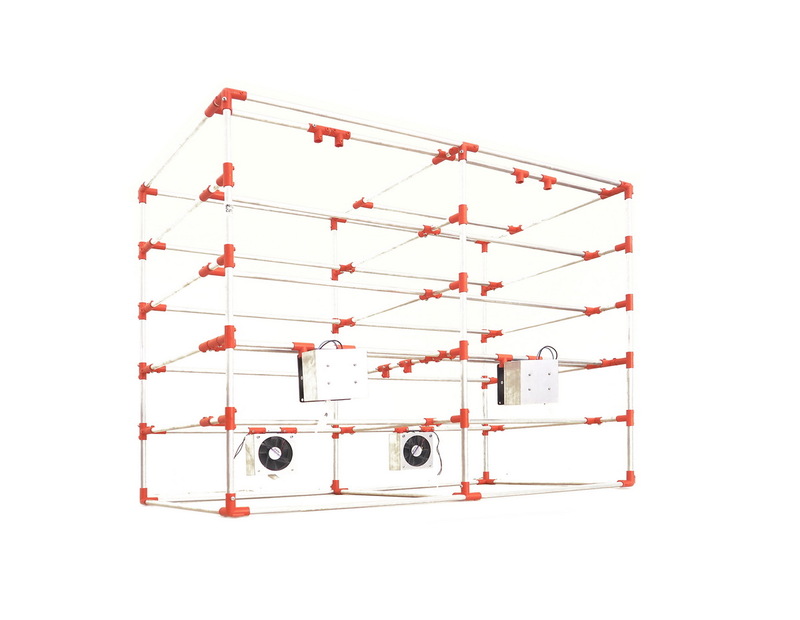 The collapsible frame of the incubator consists of aluminum and plastic elements, excluding the appearance of corrosion in an environment of high temperature and humidity. Special heating units (aerostreamers of different power) evenly warm up the internal space of the incubator, taking into account the aerodynamic features of the “multi-storey” arrangement of the trays. The proportional-integral-differential (PID) method of heating regulation with feedback excludes, even short-term “flights” over temperature. Mixing of air currents and saturation of air with humidity occurs in a special compartment of the “lower floor”. Here, fresh air is taken. 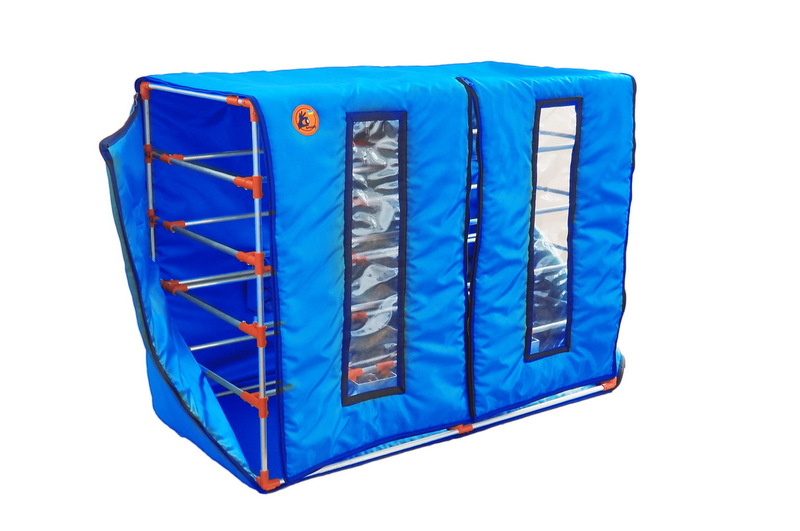 The MAXI 400 incubator is equipped with a moisture-, heat-insulating cover made of special strong polyester fabric with polymeric impregnation. High-quality cover fabric allows to operate the incubator for at least 10 years, without loss of properties. The cover allows multiple sanitary and hygienic treatment (washing) in the washing machine. The user has a separate access, both to the right and to the left of the incubator – without having to open the entire incubator. 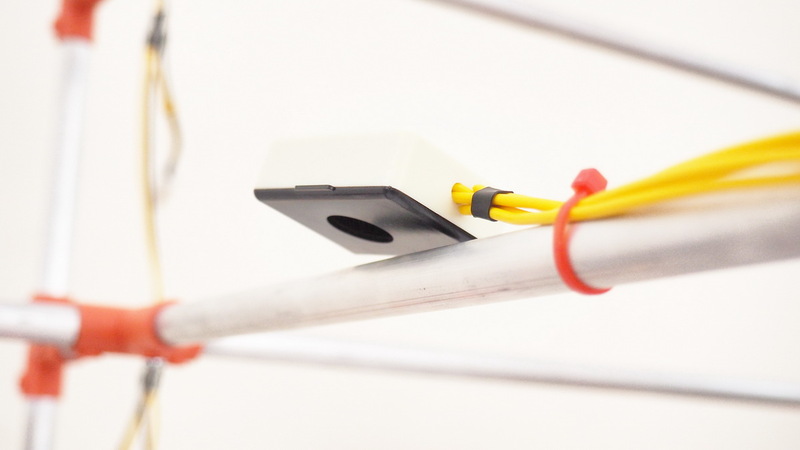 To control the “freshness” of air in the MAXI 400 incubator, a carbon dioxide sensor (optional) is used. Thus, the poultry farmer gets control over another important parameter – air quality for the development of embryos. Intuitive-clear management interface (with only three buttons! ), Allows you to configure all functions to people of any level of training without using special knowledge. 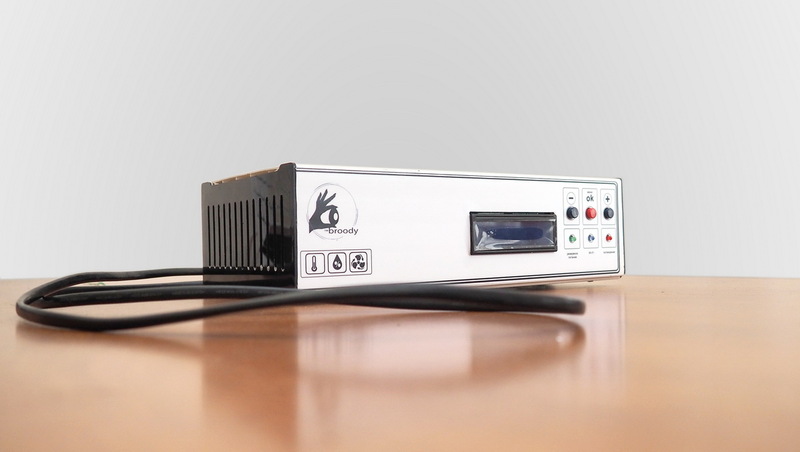 The display of the control unit displays the current values ​​of temperature, humidity and the level of carbon dioxide in the air. 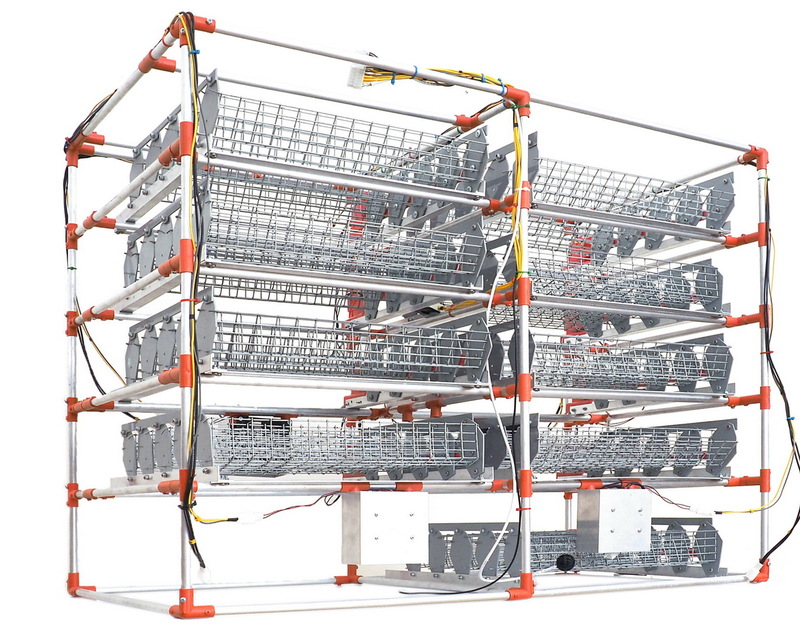 .In the MAXI 400 incubator, 9 stands of Standart 45 are used, each of which accommodates from 40 to 45 eggs. 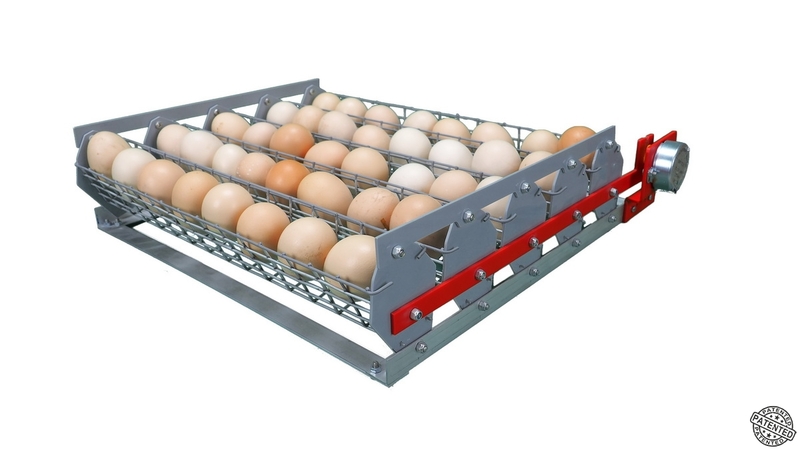 8 trays are used for basic incubation, 9th tray is optional and is used at 100% (full) loading of the incubator. 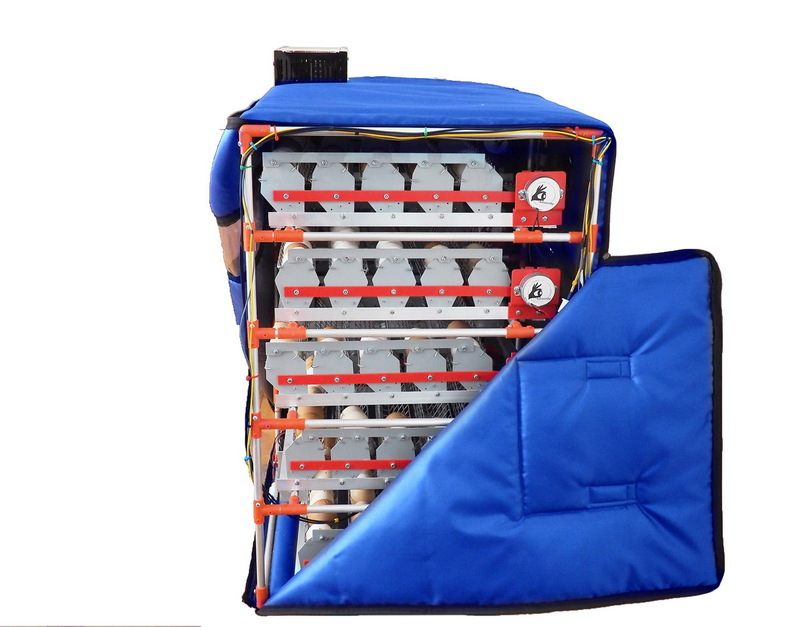 It is designed for the function of warming up during the first 7 days (it is removed from the incubator after the 1st ovoskopirovaniya with the transfer of eggs into other trays). Each tray (patent) is equipped with its own motor with built-in reducer, which allows turning at a speed of 2.5 rpm.